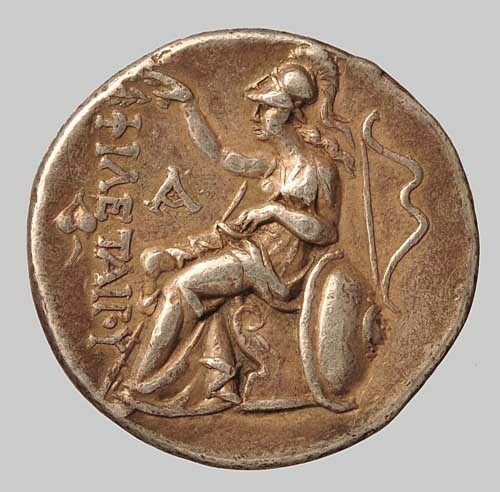 PERGAMENE KINGDOM, ATTALOS I SOTER, TETRADRACHM, 241-197 BC. 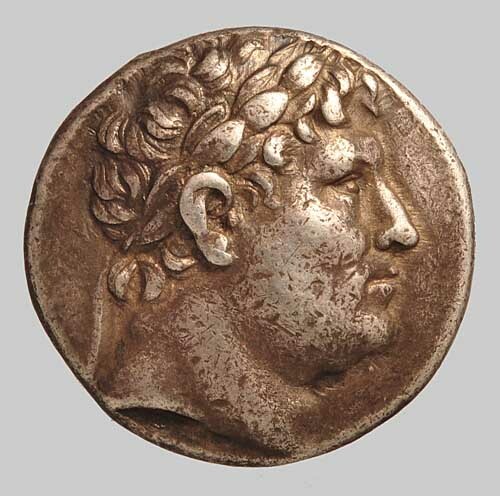 Head of Philotairos r., wearing laurel-wreath and diadem entwined. Rev. Athena enthroned to the left, crowning ΦIΛETAIPOY before her and resting l. arm on shield, in field to left, ivy-leaf and AΘ-mon., to r. bow. Lit. D. Sear 7220; Pozzi 2254.